Monday: “We MUSTACHE You To Read!” Wear a mustache to school; prizes awarded for the top 3 most creative. Tuesday: “Sneak Up On A Good Book.” Wear camouflage clothing. Wednesday: “READ A Shirt Day!” Wear a shirt with words on it. Thursday: “Reading With A Friend Is Twice As Nice!” It’s Twin Day so dress the same as a friend to read together. Friday: “A Book Title In My Pocket…” Have a favorite book title written down in your pocket to pull out and share with a friend. 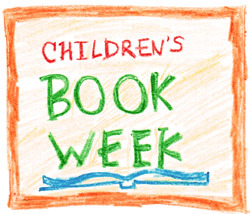 This entry was posted in Personal Reflections and tagged books, Children's Book Week, summer reading. Bookmark the permalink.